Aquarium Maintenance is a difficult job! It is not just about feeding the fish and cleaning out the tank. You have to know about the chemicals that are affecting the ecosystem of your fish tank such as aquarium nitrates. Many people who are just starting out with their aquarium wouldn’t have an idea about these chemicals. Let’s have a look at the basic chemicals that naturally occur inside the fish tank and how they affect your fish. When you first populate your tank, even if you add a couple of fish it is imperative that after eating, the fish excrete waste. This waste is quickly converted into ammonia which later turns into nitrite. Nitrite is just as harmful as ammonia. It can kill the fish in the tank if they are exposed to it even for a short period of time. His nitrite then turns into Nitrate. Nitrate is not as harmful as nitrite. However, if the fish are exposed to it for a prolonged period of time then they become lethargic and eventually die. In addition, if you have baby fish in the aquarium, they will die almost immediately. So, you can forget about increasing the population of your tank with high levels of nitrate in it. You have to concentrate on your aquarium maintenance. The normal level of nitrate in the fish tank is between 5 to 10 ppm. An excessive level goes between 20 to 50 ppm. Many fish only exhibit symptoms of nitrate poisoning when its level reaches 100 ppm. So, aquarium nitrates are not exactly dangerous until they reach a certain level in your tank. You just have to make sure they don’t reach such a level. Let’s have a look at some of the things that you can do to keep these levels under control. You must have a test kit on you with which you can keep checking the fish tank for levels of the nitrate. The moment you feel a rise in the levels you can start working to reduce them! If your tank is overly populated, more ammonia will be released and as a result more Nitrates will make room in it. Transfer some of the fish into another tank or give away to friends and family! Make sure you are not feeding the fish excessively. Excess feeding can lead to extra waste production which will again lead to more Nitrates. Only feed when the fish can eat up everything in 5 minutes’ time. Change at least 50% of the water in the tank when the levels rise. The fresh water will be free of Nitrates! Aquarium maintenance doesn’t only require time, but it also needs you to have sufficient knowledge of the type of fish that you have in the tank. You need to have the appropriate tools and techniques to makes sure that the ecosystem of the aquarium remains healthy and conducive for the survival of your fish. 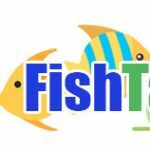 FishTanksAndMore.Com can help guide you in this process, so make many trips back to our site. You can even share some of your experiences with us so that all the hobbyists can take benefit from it! Use the comments below to get info or provide your own experiences.